– Baking Tip # 1: all the time when making our crepes and not just for crepes. We use it to make all our cakes (chocolate fondant cake, French madeleines, chocolate marble cake, etc). We find that with flour in the US in particular, this considerably improves the quality of all our baking goods. 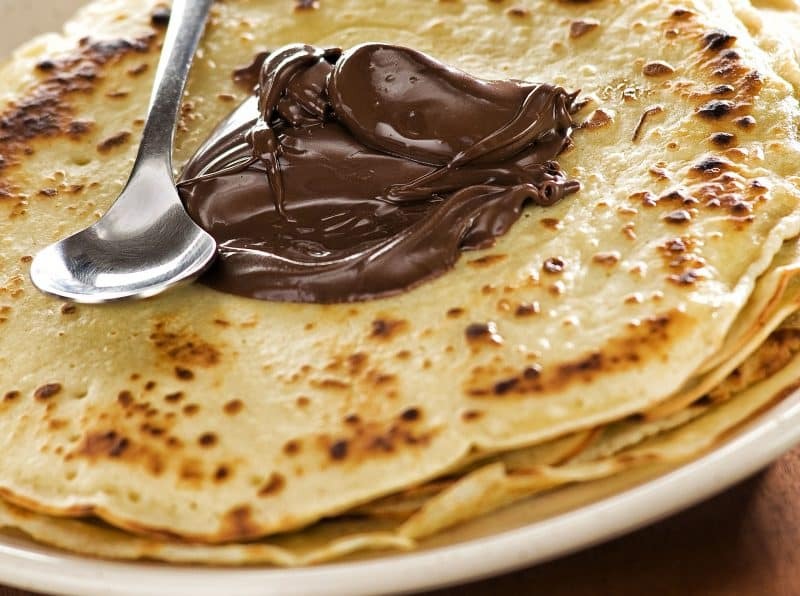 – Baking Tip #2: not all of us use it but we all agree, this makes for very light crepes and very easy to digest so we recommend it as well if you find your crepes not light enough. Add one small glass of beer to the batter. And voilà – now you are ready to flip some delicious (and light) crepes, such fun!